Ten years ago, before I caught the travel bug, before I’d ever booked a flight on my own or gone further than New England unaccompanied, I worked in an office in Times Square. 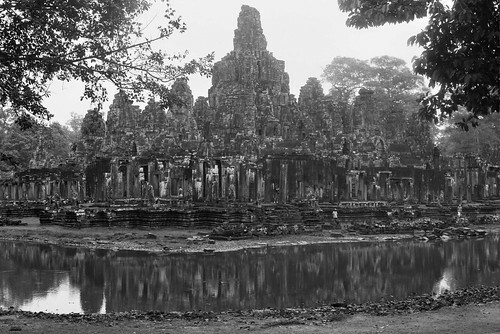 In the entryway to my department was a large print of a photo from Angkor Wat. I passed it several times a day and wondered where the hell Cambodia was and honestly never really thought I’d be there in person. A decade later, here I was in Siem Reap walking through the ruins and seeing the real thing up close. Without intending to, I’d accomplished a travel goal. As far as the actual experience of being there, I’m not sure what I can say. It’s immense and more or less impossible to comprehend over the few hours we spent there. In fact, it was almost a burden trying to see the relatively few points we definitely wanted to see all in one day and we ultimately skimmed more than we perused. With only a day and a half in town, that was all we could do, but according to our guide, many visitors take three or more days exploring the sites. 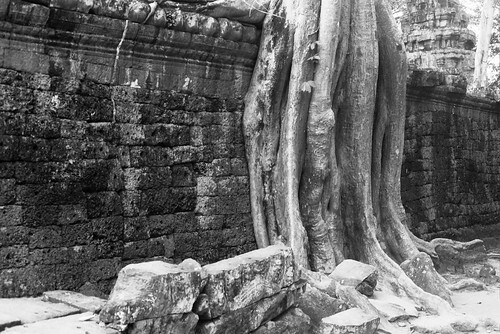 This week on Analog UltraClay, I’ll be posting film photos from the temple complex. I’ll also have a few more observations and stories from the trip here. Stay tuned.